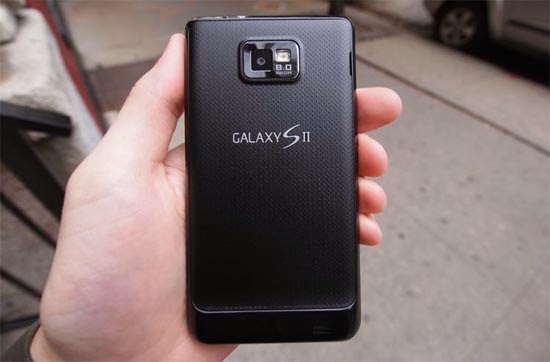 This post will answer, at least, 10 common problems with the Samsung Galaxy S2 (S II). We understand this phone is already dated but there are still millions of owners in the world that need support. That is why, we dedicate at least one post every week to answer questions or problems encountered by owners of this phone. If you have questions or problems that needed to be answered, don't hesitate to email us at sebertech@gmail.com and we will get back to you as soon as we found solutions or answers to those problems. Answer: It's basically an accessory issue and we can't do anything about that. I suggest you call Sprint and try to ask for replacement battery, if they won't give you one then you need to buy a new battery for your phone. Please do not use the swollen battery as it may explode especially when it's overcharged. Yes, batteries explode and I experienced that myself so don't kid around swollen batteries, it may cause serious injuries. Answer: I hope you're using the stock firmware and clock app. This problem is seems very common to Galaxy S2 owners whether the firmware is Gingerbread, Ice Cream Sandwich or Jelly Bean. But basically, it may seem like a glitch on the stock clock because clearing the Clock app's cache and data would solve the problem. However, there is a possibility the same problem would haunt you again in the future. Well, that's based on testimonies of people who have encountered the problem. So, again, clear the clock's cache and data. If that wouldn't help, hard reset your phone. Answer: Well, do a little house cleaning. Delete some files especially videos and photos from your phone. Clear cache and data of apps you often use, although it may mean losing some data, especially games. Your phone is basically telling you what the real problem is and address the problem as such. If these things wouldn't work, I'm pretty sure a factory reset would do the job. Answer: It's the battery. Plug the charger and let your phone be charged for even 10 minutes and turn it back on, it would. Now, here's the thing, it seems like battery problems are common to this phone so the solution I just gave you may not solve the problem ultimately. One thing to know if the battery has a serious problem is when the same problem keeps happening multiple times a day. The phone may not shut down when you turn it on while being charged simple because there is a stable power from the charger. But try unplugging it and it may just start acting up again. The solution, buy a new battery. Answer: Well, the first thing you should do is to address the problem as such. Since you were talking about the Gmail app, then set your focus on that first. Go to Settings > Application Manager > All > Gmail. Tap both the Clear Cache and Clear Data button. That would usually solve this kind of problem. If not, then uninstall Gmail and reinstall it. The workaround if this problem keeps happening, use other email clients. Answer: Updates rolled out by carriers are among the most stable updates but let's admit it, technology messes oftentimes and this is just one of those moments I think. Since you said it so clearly that the boot loop problem happened right after you updated your phone, then I think it has something to do with corrupt data. Try clearing the cache partition via the recovery mode first. It would delete all data used by apps to run. If that doesn't work, do a factory reset to bring the phone to default settings with the new firmware installed. Answer: This problem seems familiar to me since I've encountered it about a year ago. I believe you are using Go SMS app and have selected the option to let it handle all incoming messages, which includes Voice SMS Messages or simply Voicemail. So, my advice is, change the settings or simply get rid of the app. If the problem persists after doing so, try to go to the stock messaging app settings and turn notifications off. Answer: I sure did. What I did was remove my Google account, reboot the phone, set the same account up, launch Play Store and I was able to download apps again. But then, it happened for the second time and the first solution didn't work. So, I uninstalled Play Store updates and solved the problem. Try the first one, if it doesn't work for you, try the second one. Answer: I am almost certain that the phone is in Airplane Mode, try turning it off first and see if the problem is solved. If the problem persists, check if mobile data was enabled; if it wasn't, enable it. Well, that's pretty much it. I hope this helps. I believe the only time Galaxy S2 says "Search for service" is when you can't see reception bars on the notification bar, which means Airplane Mode is enabled or mobile data is disabled. Answer: Try a reboot first and see if that solves the problem. Then go to Accessibility and turn Talkback off. If that is already off, try to see if Driving Mode is off as well. If it is already off, toggle the switch to On than back Off. See if that works. If not, a factory reset may do the job. Email your problems at sebertech@gmail.com and we will find solutions for you. If you find this post helpful, please share it with your friends via Facebook or Twitter. You may also follow us to get latest updates. Thanks.